Nannaku Prematho to have 45 mins of high and intense emotions. Home/NEWS/Nannaku Prematho to have 45 mins of high and intense emotions. Nannaku Prematho to have 45 mins of high and intense emotions. NTR is looking to make a strong comeback with his histrionics. Young Tiger NTR’s 25th film, Nannaku Prematho, is all set for a grand release on the 13th of this month as a Sankranthi treat. Currently, the makers are wrapping up the last minute formalities to send the film for the censor scrutiny which is due on Monday. Meanwhile, the film’s unit has stepped up the promotions, with NTR himself participating in the promotional events. It is well known that Nannaku Prematho will showcase the emotional bond between NTR and his onscreen father, Rajendra Prasad. Now, the film’s unit revealed that the last 45 minutes of Nannaku Prematho will be high on emotions and the intense scenes in the final act will arrest the audiences’ attention completely. 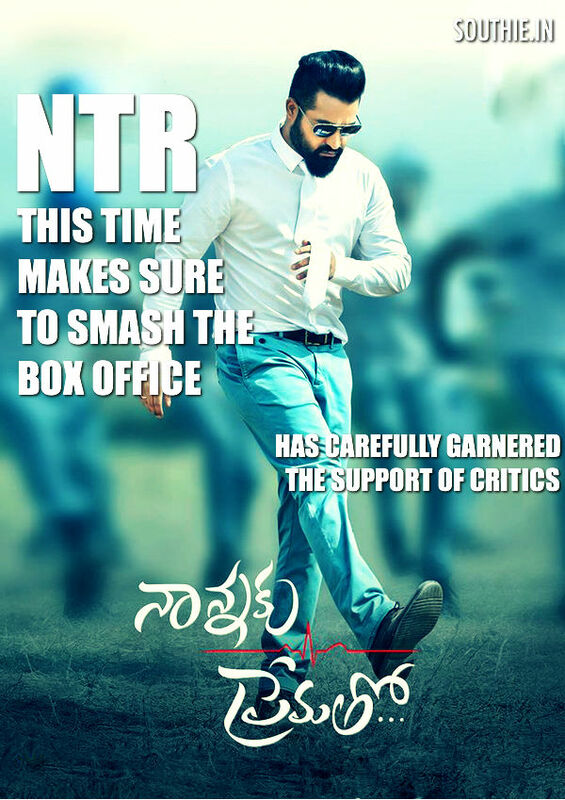 The makers are confident that the last 45 minutes will be the major highlight of Nannaku Prematho. Rakul Preet will be seen romancing NTR in this Sukumar directorial and BVSN Prasad is the film’s producer.